Om nom nom! Cookie Monster is here, and this furry blue monster is hungrier than ever! Little ones can unleash their appetite for fun by pretending to feed the Cookie Monster toy his favorite snack - a cookie! He will respond with his well-known silly sayings, such as "Me Love Cookie" and "One More Cookie Please!" Hungry for more fun? Squeeze Cookie Monster's belly to hear more silly phrases, his iconic belly laugh, and to hear him sing a song! 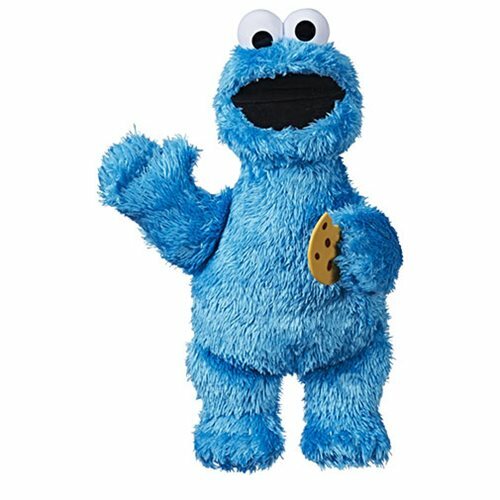 For even more huggable fun, look for Feed Me Cookie Monster's companion Tickle Me Elmo! (Sold separately. Subject to availability.) 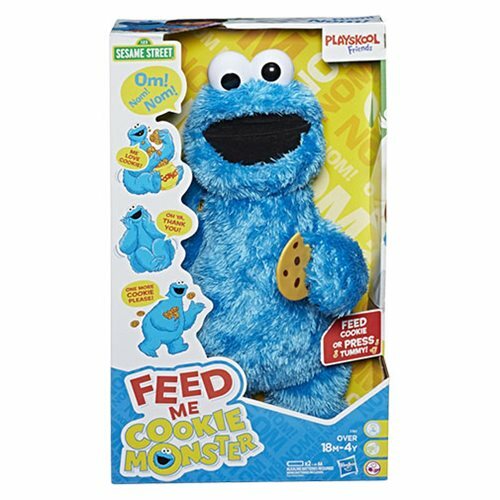 Includes 13-inch Feed Me Cookie Monster and instructions.